Actually, there are so many of them Yamaha placed them in a variety of categories (of course), so they are not all in one place. The MOTIF (original MOTIF, MOTIF ES, MOTIF XS, and MOTIF XF) also had Voices and Performances that were made of layers and splits - some of them even tied to drum grooves. So, how does one call up some of those great sounds, get additional cool layers and splits, and more? Enter the B.O.M.B 2 sound sets for MX music synthesizers: There is a separate download for each of the MX synthesizer models (MX49, MX61, and MX88). The download is FREE and can be downloaded here. The downloaded file folder will be named “mx-best-of-MOTIF-bank-2-bomb-2”. BOM2MX49.X5A: The MX49 volume features lead, bass, brass, strings and other sounds designed for "one-hand play" or "one-hand play, one-hand tweak". 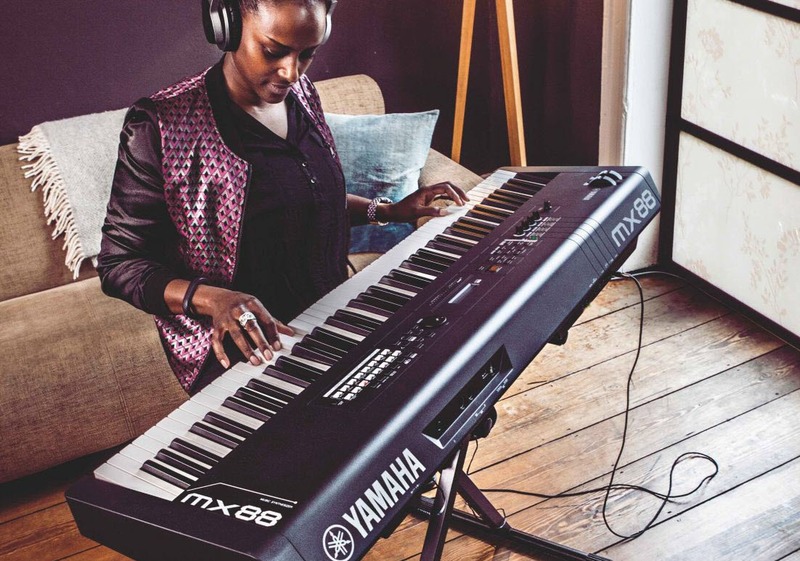 BOM2MX61.X5A: The MX61 volume is optimized for playing organs, pads and strings/brass splits for the live performer needing "top keyboard" sounds in a two-keyboard rig. *Even though each volume is optimized for a particular MX, you can use any volume in any MX. Place any of the files “BOM2MX49, BOM2MX61, BOM2MX88” onto the root directory of a USB flash drive or storage device. Push the [FILE] button on your MX Music Synthesizer. Use the Arrow Buttons to select FILE 02:LOAD. Use the [DATA DIAL] or [DEC/NO] [INC/YES] buttons to select the file you wish to load and push [ENTER]. Push [INC/YES] to begin loading.